An effective training session starts with an effective warm-up. Too many people either neglect this or get so carried away with it that they forget to train. However, there is a middle ground. There is a time-efficient, effective way to warm-up that will improve your training sessions. Here is the best way to warm-up. My first exposure to warm-ups was gym class and sports. Warm-ups meant jog a few laps (your tissues love the trama of jogging when they are cold). This was followed by static stretching or it motivation waned, “fake stretching”. 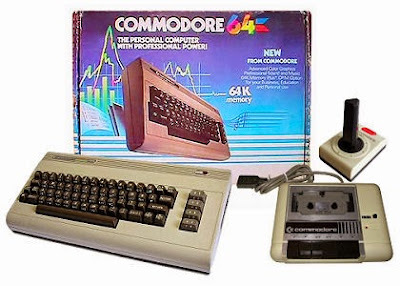 Despite this type of warm-up is more out-dated than a Commodore 64 is in the computer world, many people still do this today. When I first started working as a trainer in the late 90’s most folks started their warm-ups with cardio machines. This was slightly better than jogging (unless done on the treadmill) because it was lower impact. However, 5-10 minutes of sitting slumped on an exercise bike is a great way to tighten your hip flexors and rectus femoris (middle quad muscle), inhibit your glutes, allow your spinal disks to migrate to the back (exactly what you don’t want before heavy lifting), enforce bad posture and spend even more time in that awful sitting position. Thankfully during this time, people started to realize that static stretching (i.e. yanking on cold muscles) hinders performance and dose not prepare you for what you are about to be doing. During this era, we started to see dynamic stretching become more popular. The 2000’s brought with them the foam roller. During time period, “cutting edge” trainers and trainees would start each session by giving themselves a massage on the roller. This was then followed up with dynamic mobility drills and corrective exercises. Now all of these things can offer benefits and can be part of an effective warm-up. However, the problem with this era is that people got carried away with it. I even have a warm-up DVD sitting on my book shelf. I often took 20+ minutes to roll out and warm-up and I saw one guy roll for 45 minutes before he started training. 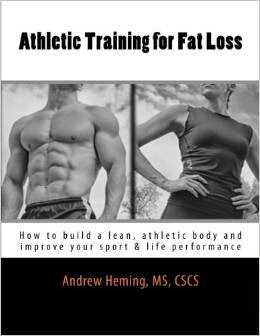 During this time, too many people lost sight of the fact that if you want to burn fat, build muscle and improve performance you need to spend the majority of your gym time actually training. Today life is busier than ever. At work I’m juggling training athletes, training clients, teaching, writing and reading. Then I get home and give the rest of my time to my lovely wife and 3 young children. I’m also getting older and know I can’t get hurt and still do my job. All of these factors have forced me to find a warm-up that super effective and efficient for preventing injuries and enhancing performance. Now my warm-ups are shorter than ever and yet I’m stronger than ever. Is also have found that I get less little tweaks and pulls than I did when was doing the extensive rolling and dynamic mobility. Part one should be doing what YOU need to do. This might include things like, foam rolling a few stiff spots (just don’t do too much – think about how you feel after a massage – you don’t want to be in “spa mode” when you start your training session), mobilize your t-spine, stretch your hip flexors (this can actually improve performance because stretching the hip flexors relaxes them and allows your glutes to fire better), PNF stretch your hamstrings (if they are asymmetrical or need to be lengthened), activating your glutes, scapular retractors and/or core. This can be followed by a quick minute of jump rope skipping or jumping jacks. You can also look to active your nervous system to improve your performance with med ball throws or jumps. I also like doing a few PNF patterns that I learned from Chad Waterbury. The trick with this individual prep phase is to keep it individual. Do not try to do everything. I try to keep my individual prep phase to about 5 minutes and recommend most people be about 5-10 minutes. If you have major corrective issues you may need more. If this is the case, try doing more correctives throughout the day and seek out a qualified therapist to expedite the process. The goal is to find things that help you move better and improve your training performance. The second part of an effective warm-up is doing things specific to what you will be doing in your training session. For example, if you are running sprints, you want to run some progressively faster sprints before you start sprinting full out (e.g. set 1: 60% max speed, set 2: 70% max speed, set 3: 80% max speed, set 4: 90% max speed – note: do more warm-up sets if needed). If you are lifting, you want to move from here to warm-up sets. Use for each new movement in a session. For example, if you are doing bench presses and then incline press, you don’t need to do warm-up sets for incline presses. If you were doing bench presses and rows, you want to do warm-up sets for both exercises. Keep the reps low and try to not get tired. High rep warm-up sets are usually not a good idea as the fatigue and lactic acid produced here will impair training performance. The exception to this is if you are beat up and need that extra blood flow from high rep sets to get your joints ready. Also, if you feel you really need a higher rep warm-up set, do it your first warm-up set. These should not take a lot of time. Rest time between warm-up sets (until you are really strong) is not much more than the time it takes to change the weight on the bar. Do add a bit of rest if needed as you are getting up in weight. Remember the goal is to be ready – not tired when you get to your work sets. Keep your loading simple and avoid using smaller plates. If you know plate-math (i.e. total weight of plates and a 45lb Olympic bar) you will see simple plate selection used in the examples below. This example includes a great concept I learned from Paul Carter called over-warm-ups. It works well on higher-rep work sets. Before your work set, you actually lift a low-rep, non-exhaustive heavier set which makes your work sets feel lighter. The scientific term (which has been getting a lot of attention in the research lately) is post-activation potentiation. Don’t miss the opportunity for improved training performance with a personalized, efficient warm-up. However, don’t get carried away with warm-ups. Find the perfect balance for you and enjoy better results! How about you? I invite you to share what have you found effective for your warm-ups in the comments section below.